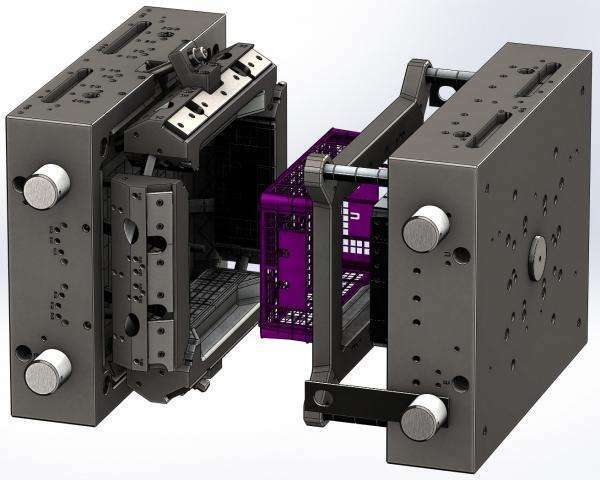 In 2017, as global injection molding machine market rallied, especially Asian, European and American markets all of which expanded further, the market size also bounced back quickly, with full-year output value exceeding EUR8.8 billion, a figure projected to be above EUR10.0 billion in 2022 when China, Southeast Asia, South Korea, North America and India will be the main markets. China's injection molding machine market remains the largest in the world. After years of steady growth, it thrived in 2017, with full-year output enjoying a double-digit increase because of faster progress in automotive lightweight and rapid upgrade of packaging, home appliance and 3C industries. It is predicted that the country's production of injection molding machines will grow at an average rate of over 5% each year between 2018 and 2022. In 2017, China exported USD1.67 billion of injection molding machines, 14.3% more than previous year. These products were largely sold to the US, Vietnam, India and beyond. Despite increasing exports, most injection molding machines were low- and mid-end products and the high-end machines still needed to be imported, with import price up to USD102,000 per unit in 2017, far higher than the average export price of USD34,000 per unit. By types of products, small all-electric injection molding machine and large two-platen type are becoming trends. Meanwhile, as the industry 4.0 comes, injection molding machines will be increasingly intelligent. Given this situation, several large intelligence projects have been kicked off: in the second half of 2018, Borch Machinery Co., Ltd.'s new smart factory in Guangzhou with an investment of RMB150 million will finish construction; the medium and large injection molding machine intelligent production base project Haitian International Holdings Limited proposed an investment of RMB1 billion to build in late 2017 has been launched in Wuxi City, Jiangsu Province. As for enterprises, leading injection molding machine companies in China saw a robust 20%-40% jump in sales, far higher than the single-digit growth in the past few years. Revenue of Tederic Machinery Co., Ltd. and Guangdong Yizumi Precision Machinery Co., Ltd. from the business both surged by 30% from a year ago; revenue of Haitian International Holdings Limited was up 25.8% to RMB10 billion year on year, with an over 35% share in domestic market. Double Injection Products will become major.